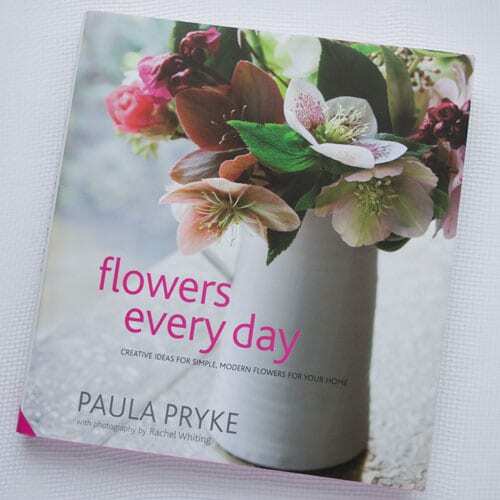 I hope you enjoyed my interview with florist Paula Pryke earlier today. 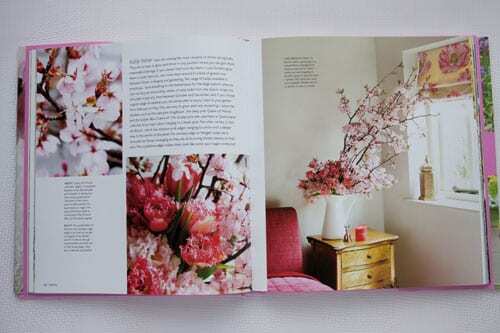 I’d now like to show you some images from my review copy of her beautiful new book, ‘Flowers Every Day’. 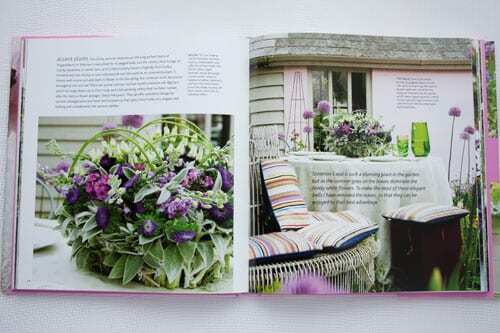 The book aims to show you how you can have flowers in your home every day by growing your own, plus buying specific blooms from your florist, garden centre or the supermarket. Having gathered together your flowers and foliage, Paula shows you how to create simple, innovative and modern flower arrangements, including ideas for special occasions, such as Valentine’s Day, Mother’s Day and Christmas. Within each seasonal section, Paula runs though what’s good in the garden and also what’s good to buy. 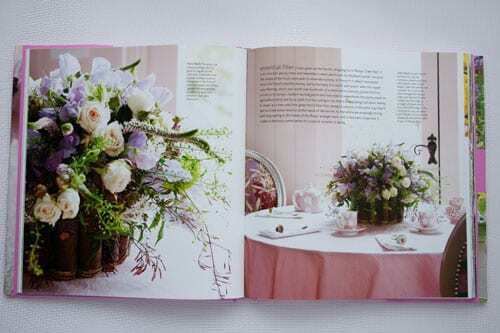 We’re then treated to images of her new floral designs with stunning photographs taken in Paula’s home and garden by Rachel Whiting. The two page spread below shows two of my favourite designs…so simple, yet so effective. The designs below also really caught my eye. On the left, black cordyline leaves have been tied around tumblers, together with ribbon and lace to give a vintage feel. Rose hips, astrantia, Viburnum tinus berries and ‘Pepita’ spray roses have then been arranged in them. 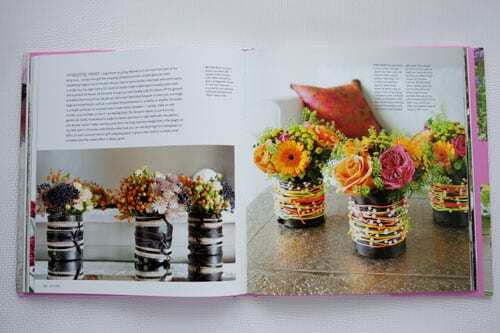 On the right, the same black leaves were used, but this time the tumblers were decorated with wire threaded with pearls and colourful ribbon. They’ve then been filled with Getrude Jekyll pink roses, orange germini, apricot roses, Pacific chrysanthemums and the very popular green bell. 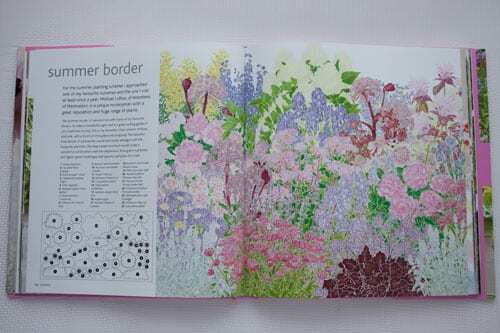 For each season in Paula’s book, there are gorgeous illustrations by Hannah McVicar, who I’ve featured a few times on Flowerona. You can see her summer border below. There are also ‘How Tos’. 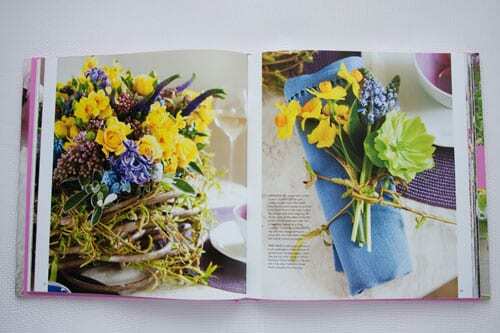 For example, how to make a natural bouquet, lavender basket and cake design. 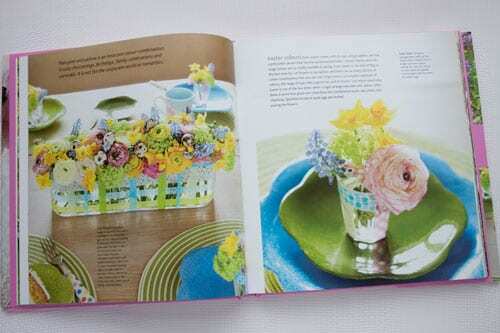 As with all of Paula’s books, it’s bursting full of simple brightly coloured flower arrangements…and in this book, all of the designs are easy to replicate. 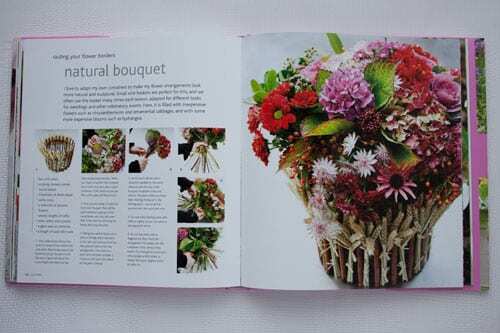 She shows you how you really can have beautiful flowers in your home every day and reading the book has certainly inspired me to start growing more blooms. Paula’s book is available on Amazon and from all good book shops.